Ruth Mae Smith obituary. Carnes Funeral Home. Ruth Mae Driskill Smith was born in Sherman, Texas on November 24, 1922 to Will and Mamie Driskill. She passed away Thursday, March 26, 2015 at the age of 92 years old at home surrounded by her family. She is preceded in death by husband, D.C. Smith. Ruth was a longtime resident of Bacliff, TX. Ruth is survived by daughter, Barbara Neel of Bacliff, TX and son, Gary Smith and wife Kristin of Dickinson, TX; grandchildren, David Smith (Melissa), Andy Farina, Angela Smith, Travis Smith, Casey Garcia (Michael), Zachary Smith, and Zoey Smith; great grandchildren, Nicole, Katelynn, Kyleigh, Jesse, Kailyn , and Adalynn. She is also survived by sister, Eloise High and many nieces and nephews. Ruth proudly served her county during World War II by working in Beaumont, TX as a top dollar welder on constructing ships for the war effort. She enjoyed a long life raising her children and caring for her family. Ruthie loved homemaking, gardening, cooking, couponing, and going to garage sales. She will be dearly missed by all. In lieu flowers, memorial may be made to Texas Oncology Deke Slayton Cancer Center, 501 W. Medical Center Blvd, Webster, TX 77598 and Resolution Hospice, 7641 South Freeway, Houston, TX 77021. A special thanks to Connie and Nan of Resolution Hospice for their loving support and care for our beloved Ruth. Pallbearers are David Smith, Zachary Smith, William Jardina, Josh Jardina, Jay Wooley, and Christian Wooley. Honorary Pallbearers are Travis Smith and Jesse Guzman. 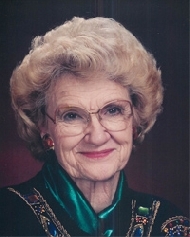 Guests are invited to share in the Celebration of Life Visitation for Mrs. Ruth Mae Smith from 5 - 7:00 p.m., Monday, March 30th, 2015 with Funeral Services to follow on Tuesday, March 31st, 2015 at 1:00 p.m. at Carnes Funeral Home -Texas City, 3100 Gulf Freeway, TX 77591. Interment will follow at Forest Park - East Cemetery in Webster.